Michel Ancel’s UbiArt Framework engine, which allows artists to plug in pieces of art and fills in the animation gaps to eliminate fuss over animation seams, is getting expanded for use beyond the Rayman games. Today Ubisoft announced Valiant Hearts: The Great War. The game is developed by Ubisoft Montpellier, the same team that worked on the Rayman series as well as Beyond Good & Evil. Ubisoft advertises the game as “The story of 5 crossed destinies and a broken love in a world torn apart.” There’s also a dog, so you’ll probably cry at some point. The game also promises a wide variety of art and color, from the dark trenches to the alternating snowy and lush countryside, as well as a mix of action, exploration, puzzle-solving and stealth. It won’t all be dark, either. While there will undoubtedly be tragedy in the game, it’s being described as a “touching comical adventure.” Watch the trailer and see why this is absolutely one game to keep on the radar. 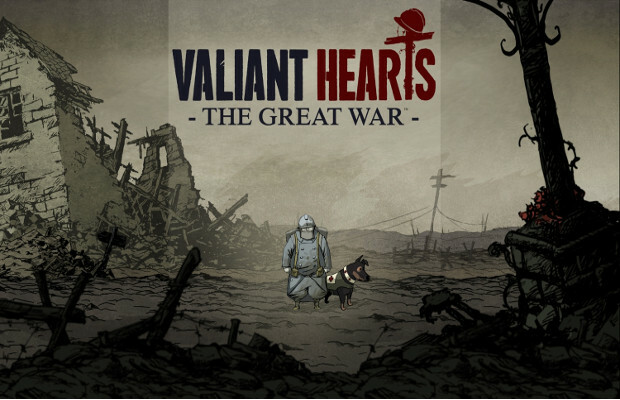 Valiant Hearts: The Great War releases Q1 2014 on current and next-gen consoles and PC. Tell us what you’re excited for in the comments or find us on Facebook and Twitter!